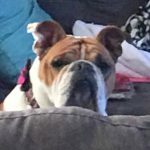 Tessa lost her fight this week. 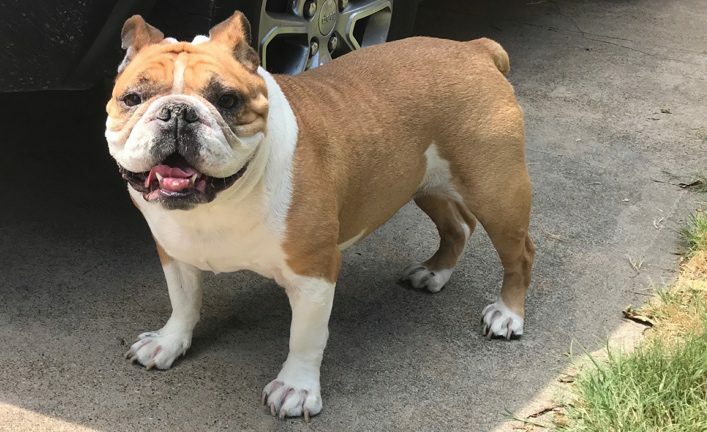 Tessa was a wonderful bulldog that had a big girl attitude. Sometime she did not want to share the sofa, so you would need to find another place to sit. Cranky as she could be she had her foster mom’s heart. Tessa was a warrior no doubt and I do believe she taught Jenny more about love that Jenny taught her. The hard ones seem to be the ones we love the most. Rescue sends you hugs Jenny. 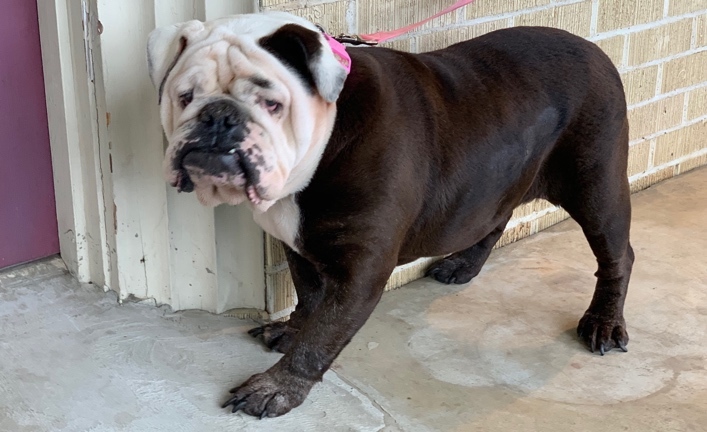 Please welcome Tessa to Lone Star Bulldog Club Rescue! Contessa (or Tessa) is not the diva you might expect. She is a healthy and energetic 7 year old. She was given to someone who gave her to someone else. Her last owner lived in a downtown apartment and had never had a dog before. 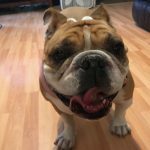 Having a Bulldog who was used to being in a big yard and running free was quite an adjustment for both of them. 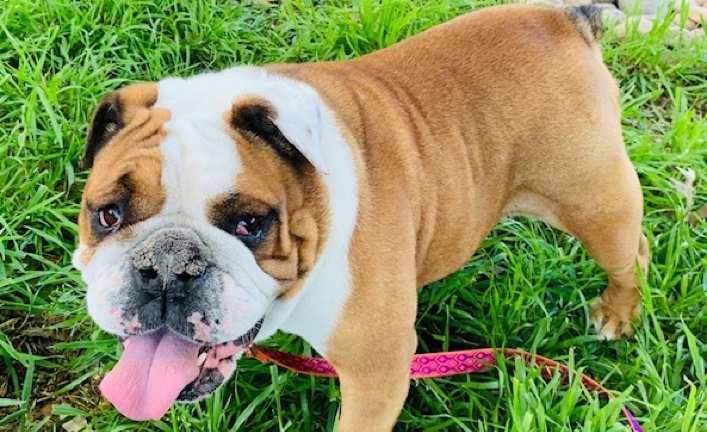 The owner felt she needed more in her life and needed someone who spoke Bulldog. Tessa is very healthy and her records were all up-to-date. She has some interdigital cysts that will be easy to clear up. She is ready to dance the night away. 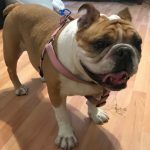 She just needs a home ready for an active Bulldog girl. 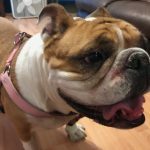 9/11/17 Update: I’m loving every minute in my foster home and I continue to learn new and fun things. 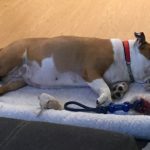 I love to sleep and eat, and my foster mommy has trained me to fetch my toys! I love my daily walks too. My foster mommy still says that it’s best that I not be around children, as I can get a bit mouthy. Hugs and kisses! 9/29/17 Update: Hello friends! It’s sweet Tessa here! I’m such a sweet and loveable girl! 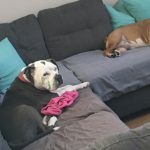 I love to be right next to someone in my foster all of time. I’m a terrific companion. I’ve been taking short walks with the cooler temperatures in the early morning! I’m a very happy and healthy girl. 10/15/10 Update: Hello friends! Miss Tessa here! 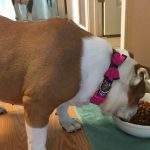 I’m doing very well in my foster home and got a pedicure and new collar this week. 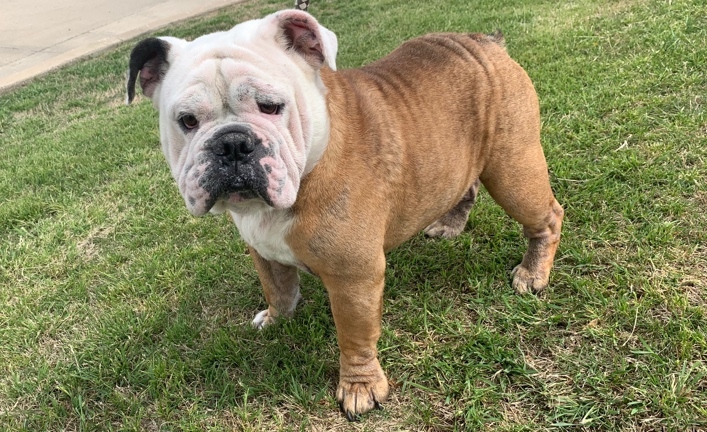 I’m sassy as ever, and my foster mommy says that I would be best in a home with older children and parents that have previous experience with bulldogs as I like to nibble and nip. Love and Hugs! 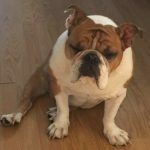 11/5/17 Update: I had a great weekend, and as you can see, I’m having a hard time getting motivated this morning! My foster mommy is starting to teach me sign language commands, and I already know “sit.” Not too shabby for an old lady! I love my walks, my treats, and especially my brother Champ! He is my “body” guard.” Hope y’all have a great week. 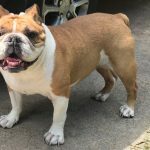 1/10/18 Update: She is such a doll, and I keep hoping that a wonderful family will come along soon with an interest in a senior! Tessy is pushing 8, but you’d never know it! She is fun and so loving! And even though she’s a love bug, she is very sensitive about her space. 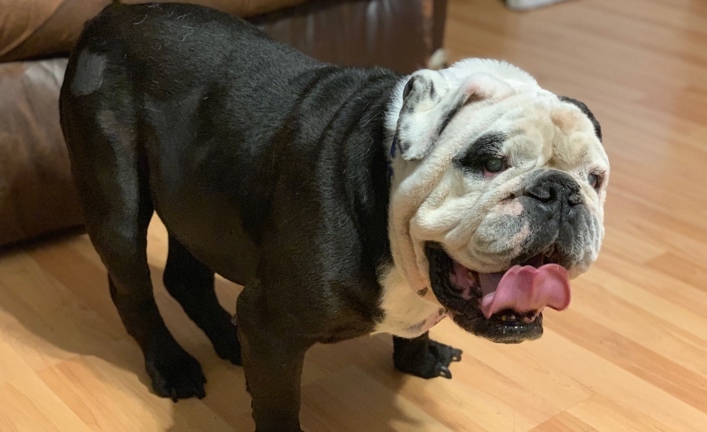 1/27/18 Update from foster girl Tessa: Oh, what a happy girl I am! I’m still patiently waiting to find my furever home. I’m a full-figured bundle of joy. My Foster Mommy is working very hard with me on mouthiness, so she still says that I should be in a home without small children. What can I say? I’m just set in my ways! 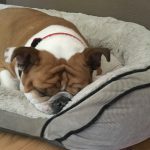  I’m so good with my foster brother Champ. We love hanging out together. I love being with other dogs. Have a furtastic week!